The latest prop. As vile as it is, it’s necessary! I know I know, you’re probably sick of updates on this short film but I had to post another one! Everything has come together nicely, and as always it turns out I was stressing over nothing! Now, generally at least one thing has to go wrong before it can all go smoothly, but as yet nothing has gone wrong! The only two things left to sort out are; the location and the equipment. 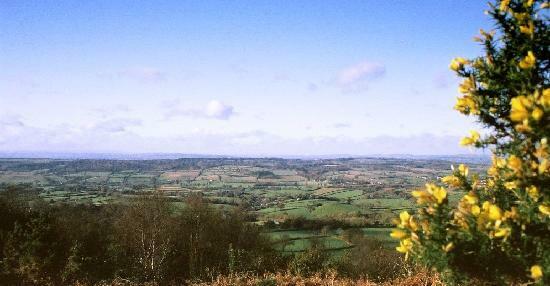 I’m awaiting an email back about the location, but it’s a friend of mine (well, the house is her parents’ but you know!) and she assures me it won’t be a problem, so fingers crossed. The equipment is the only thing I can see going wrong. We have a camera already, which belongs to one of the crew, so all we need is an Edirol and boom mic to record the audio, a dolly, a tripod and some lights. This isn’t a huge amount of equipment and it shouldn’t be an issue but we still have to get permission from the university to loan it out over the summer. I will be seeking this permission tomorrow though so by the end of the week everything should be sorted! The most difficult prop was the gun, and it turned out my dad had one all along! The second most difficult prop was the taxidermy. I know how weird that sounds but it is necessary to the story! 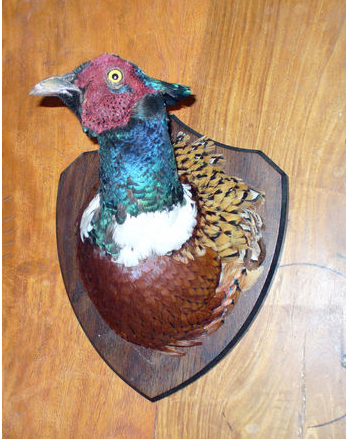 And while I intended to get a stuffed deers head, I actually found a stuffed pheasant bust which works pretty well considering the area we’re filming in is rife with pheasants (my uncle was actually game keeper there for a long time many years ago, shooting pheasants). So both the difficult props are accounted for. We’ve now got all the costume sorted out too. decent after all, or maybe I’m just persuasive. Either way, all three are very excited about the project and I honestly can’t put into words how much a) it means to have people so excited about a script I wrote, and b) how much easier the process is (and much less stressful) when everyone involved in the project is passionate, helpful and most importantly; keen! I’m now eagerly awaiting an email back about the location, and will post another update when there are more developments! The one thing we do have for this project is time, and knowing that is such a relief! There’s no rush like there is when we have to make films for coursework, there’s no deadline. It wouldn’t matter if we ended up not being able to film in June/July and had to wait till next year. It’s not ideal but it wouldn’t matter. We’re shooting right by a town called Ottery St Mary. 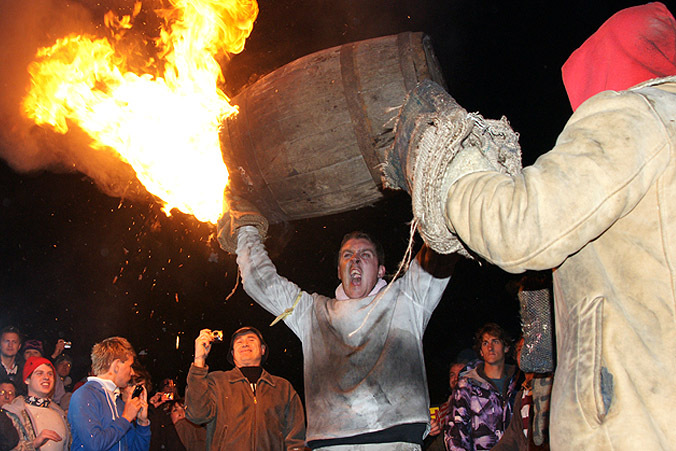 You may have heard of it, it’s famous for this ridiculous event: Tar barrels! I’m already making plans about festival submissions, and looking in to how much it costs to submit a film and what the regulations are. I’m so excited to see this film come together, I can honestly say that the script is the one piece of written work that I’m most proud of and I honestly didn’t think that I would ever get the chance to direct it. If it turns out to be as good as it looks in my imagination then I will be one happy bunny! Very lucky to have such a talented crew behind it!! Looking good! Don’t forget to check out indiegogo on this! Sick of updates? No way! Reading these updates are awesome. 🙂 So glad things are working out for you.